Spine & Orthopedic Center full-service Clinical Laboratory performs more than 10,000 tests every year in-house. The main laboratory at our facilities serve inpatient and other practices needs. SOC lab services are also available to any physician office, nursing home, assisted living facility, outpatient and home-bound patient. 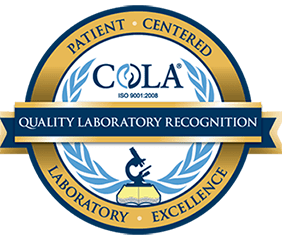 Our laboratory has received accreditation from the most respected entities such as the COLA organization (Quality Laboratory Recognition) and the Clinical Laboratory Improvement Amendments (CLIA). For information regarding laboratory hours or services and availability at any of our locations, please call our Patient Support Department at 1-888-409-8006.